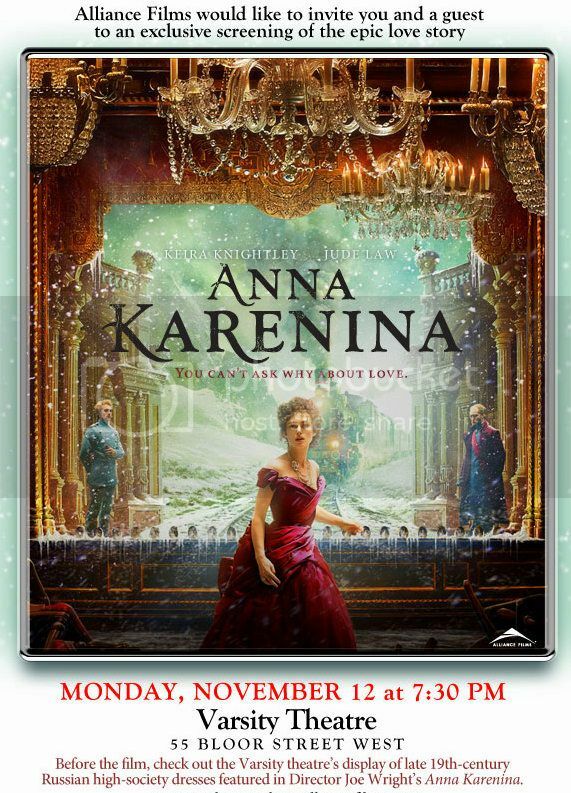 Keira Knightley stars in the Anna Karenina movie coming out soon, and thanks to Alliance Films one lucky With Love Gabrielle reader will win 2 tickets to attend an exclusive screening on Monday, November 12th at the Varsity Theatre in downtown Toronto. Set in Russian high society in the late-19th-century, Anna Karenina has an affair with the wealthy Count Vronsky. 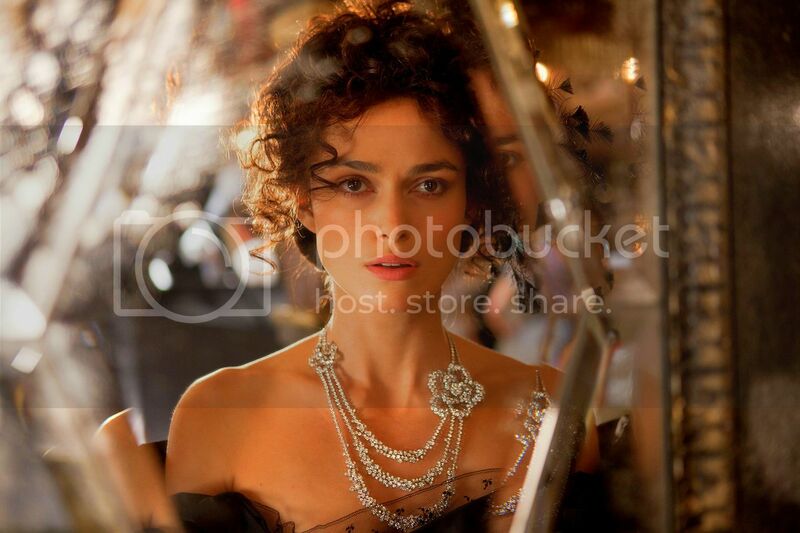 Stuck in a marriage since the age of 18 with her husband Alexei Karenin (played by Jude Law), Anna Karenina struggles to decide to leave her loveless marriage for her new love, at risk of ruining her reputation. Based on the Leo Tolstoy novel of the same name, this adaptation of Anna Karenina has been in British theatres since September. The reviews by movie critics that I read are favorable especially about the costumes, cinematography, and the performance by Keira Knightley. The Canadian release is Friday, November 30th.